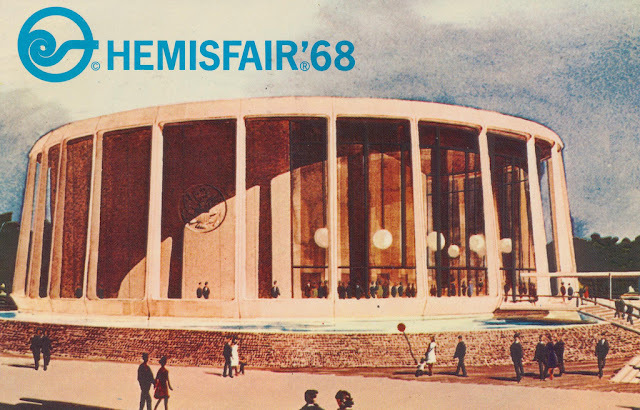 50 years ago, in 1968, San Antonio hosted the World’s Fair, dubbed HemisFair 68. 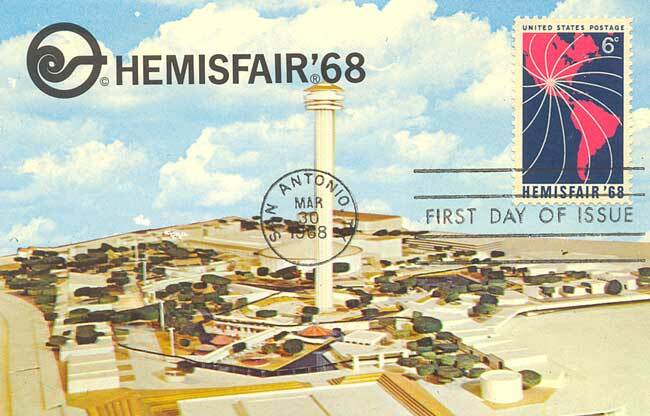 The site of the fair is now HemisFair Park in downtown on the corner of Alamo St, Market St and Cesar Chavez Blvd, marked by the Convention Center and the Tower of the Americas, both constructed for the event. 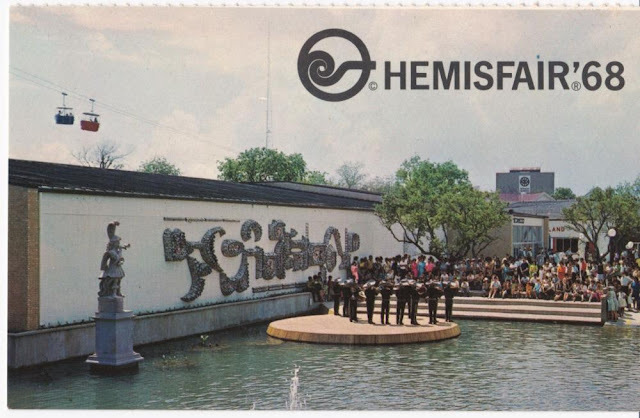 While the city has discussed numerous proposals for the site over the past 50 years, one thing cannot be denied, HemisFair forever changed the path of the city. 1. It moved San Antonio into the ranks of America’s top cities. 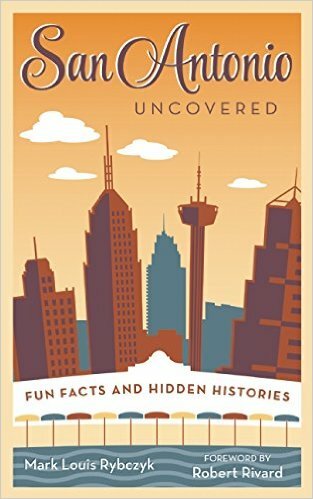 In 1920, San Antonio was the largest city in Texas. But after the depression, the city hit a prolonged period of stagnant growth. In the 1950s, while the rest of the nation was basking in the glow of post war growth, San Antonio slowly settled behind Dallas and Houston in population. Worse yet, a walk thru downtown San Antonio in the early 1960s, looked much like 1930s San Antonio. The idea behind HemisFair was to kick start the city’s growth and propel the city out of its economic slumber. With personal appeals from President Lyndon Johnson, HemisFair was able to secure enough corporate partners to have the fair certified. Today, San Antonio has over a 1.4 million people and is the 7th largest city in the US and the second largest in Texas. 2. It saved the River Walk. In 1960, the River Walk was quite different that it is today. The beautiful Venice like attraction that architect Robert Hugman envisioned during the 1930s was built by the WPA, but it became anything but an attraction. Most buildings used the River Walk as an alley, storing trash. Casa Rio was the only restaurant on the river and most thought the owner was crazy to open there. The River Walk was so rough that the military had made it off limits to military personal. Part of the HemisFair plan was to extend the River Walk into the fairground, stopping in front of the Lila Cockrell theatre and what is now Convention Center. That extension along with over 6 million Hemisfair visitors helped remake the image of the River Walk. Today, the River Walk is the second most popular tourist destination in Texas. 3. 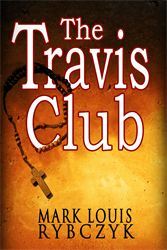 It made San Antonio into a tourist destination. From the start of the Depression until the mid-1960s not a single new hotel was built in San Antonio. When San Antonio was awarded the fair, it set off a slew of hotel construction, including the Hilton Palacio Del Rio and the conversion of St. Mary’s College old downtown campus into La Mansion. Millions streamed into the city to experience that fair and discovered San Antonio for the first time, making into a tourist destination for the first time. Today, San Antonio host 7 million visitors annually and has the state’s top tourist attraction, the Alamo. 4. It gave the city a convention center. 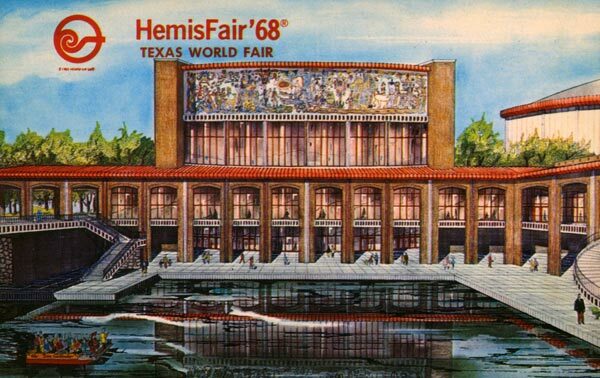 When designing the fair, Congressman Henry B. Gonzales made sure that federal urban renewal funds used for the fair included permanent buildings that could be used after HemisFair closed. 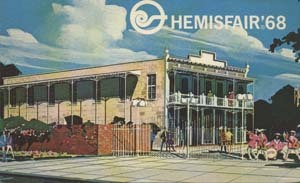 The HemisFair Exhibit Hall became San Antonio’s first Convention Center. Attached to the Exhibit Hall was the HemisFair Arena, which later attracted San Antonio’s first major league team, the Spurs. The Convention Center has been expanded many times and the Arena has been replaced by more meeting space, but the HemisFair Theatre remains, now named the Lila Cockrell Theatre, after the city’s first female mayor. If you look above the west facade of the theatre, you can see on original HemisFair mural, “Confluence of Civilizations in the Americas” by Mexican artist Juan O’Gourman. Today, the Convention Center is one of the 15 largest in the US, hosting 300 events a year with over 750,000 annual delegates. 5. It transformed our skyline. By far, the most recognizable structure in the city’s skyline is the Tower of the Americas. Designed by O’Neil Ford, the tower was the centerpiece of the fair. The tophouse was actually built on the ground and raised on the shaft. The raising of the top house to its final resting stop became a bit of a civic event. 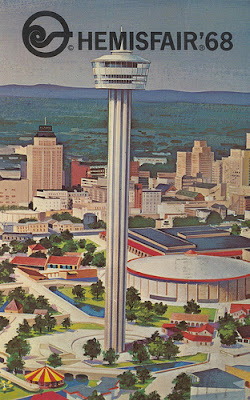 The observation deck and the revolving restaurant are still popular San Antonio attractions. Sadly, after the tower was opened and became the city’s tallest structure, the observation deck atop the 1929 Tower Life Building closed to the public. 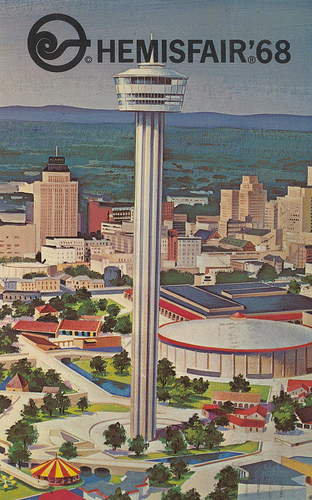 Today, at 750 Feet, the Tower of the Americas is still the largest structure in San Antonio. It is 145 feet taller than Seattle’s Space Needle and 187 Feet taller than Dallas’ Reunion Tower. 6. It changed the political landscape. The city’s political landscape in the 1960’s was mainly run by white businessmen. But the undertaking of a World’s Fair took efforts from the entire community and opened the doors of political opportunity. 1968 was a tumultuous year in the US for race relations. In San Antonio, city leaders knew it would be disastrous to invite people from all over the world, of a myriad of ethnicities, to the city only to have them denied entrance to restaurants and hotels. 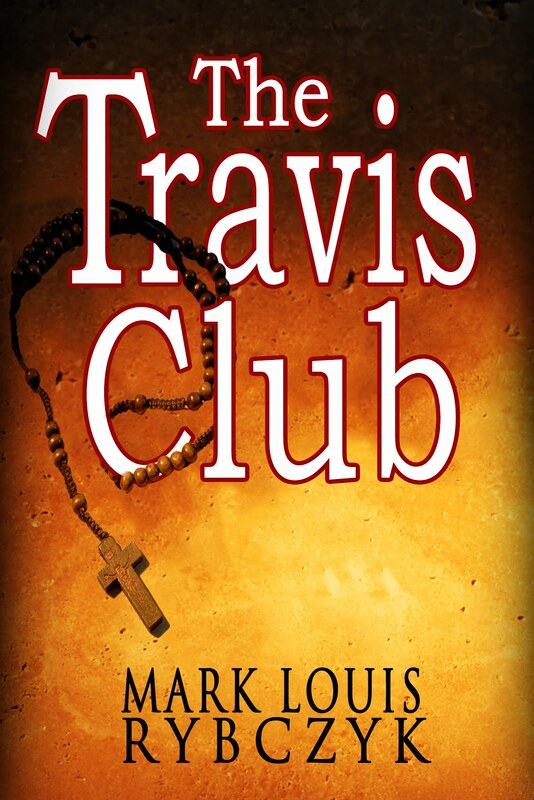 They made sure San Antonio became an open city. It was one of the few places in the US to escape the violence of 1968. 7. It wiped a Polish neighborhood off the map. 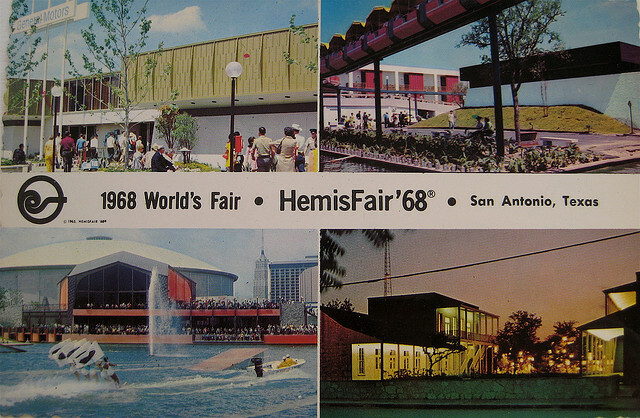 HemisFair ’68 was built on a 92 acre site that was home to one of San Antonio’s oldest neighborhoods. 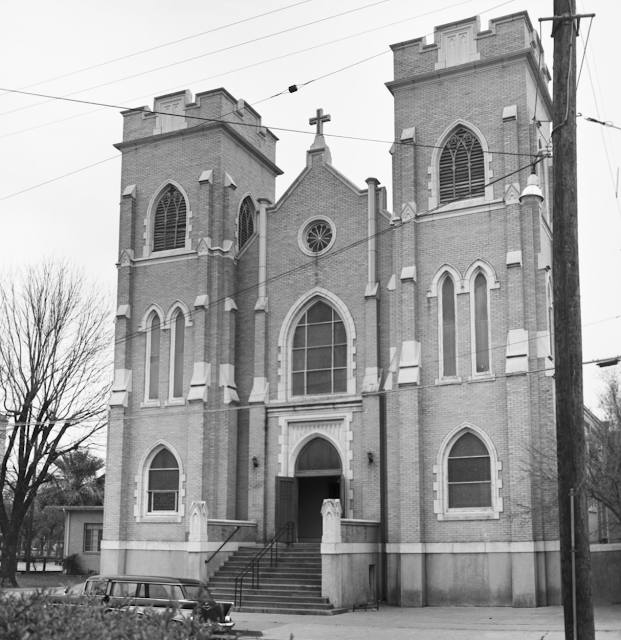 The demolition over 100 buildings including St. Michaels Church, the United State’s third oldest Polish Catholic church, was not without controversy. The San Antonio Conservation Society submitted a proposal to save 129 historic structures, some dating back to the 1800s, and have them incorporated into the fair. In the end, only 24 structures were saved, many which are still in the park. Today, there is a proposal to once again redevelop the HemisFair site to include apartments and town homes, recreating the downtown neighborhood.